On the handlebars of the Metisse Mk5 Street Scrambler Motorcycle is a Speedometer and Tachometer designed and manufactured by CAI in the UK. CAI manufacture gauges for new and classic motorcycles including the Brough Superior and Old Empire Motorcycles. 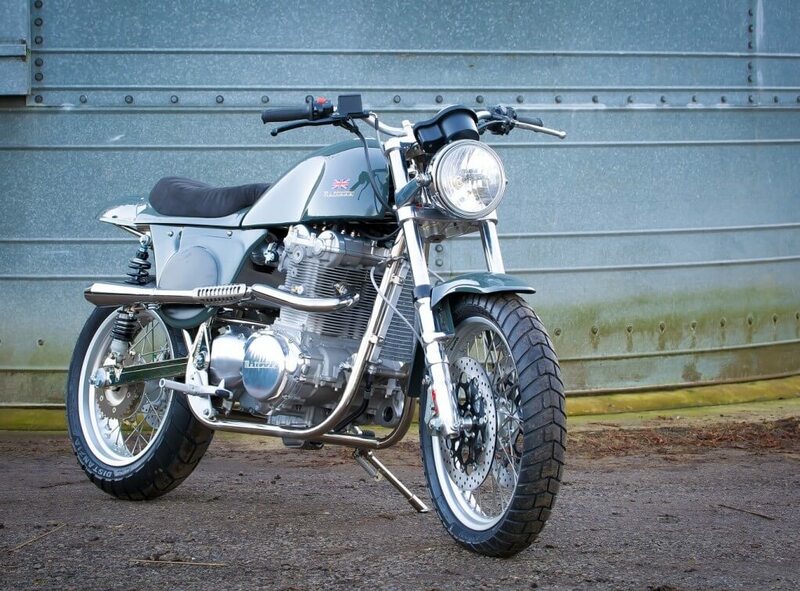 Metisse has manufactured some iconic motorcycles, including the Dessert Racer ridden by Hollywood legend, Steve McQueen, and the Metisse Hammer Mk3 as featured in the film the 'Man From Uncle'. Originally founded by brothers Derek and Don Rickman, Metisse designed, built and raced very successful motocross motorbikes. Very quickly, their popularity grew and for a brief time they were Britain's largest motorcycle manufacturer. Subsequently, they extended their designs to include street machines and sport bikes. The Mk5 was launched in November 2011 and uses the styling and engineering of the Mk3 to create the elegant Street Scrambler. Each motorcycle is hand-built in the Oxfordshire, UK workshop, where the rider controls are tailored specifically to suit each owner's requirements during the test ride. The Mk5 is powered by the Metisse 1000cc Twin 'Adelaide' engine. Both the Speedometer and Tachometer are mounted in a common central case. Both gauges have black faces with orange dials and twin-coloured numbers, and feature the Metisse name and logo. At CAI, we work with several small OE producers and specialist motorsport customers creating custom solutions, including battery powered gauges and more modern solutions for the café racer builder. Recently, we have introduced an OLED screen, capable of displaying far more functions with a brand new processor and software suite. This combined with our range of billet cases and waterproof sealing, is the finishing touch for any build. Smiths Classic instrumentation is also part of our range of motorcycle gauges.